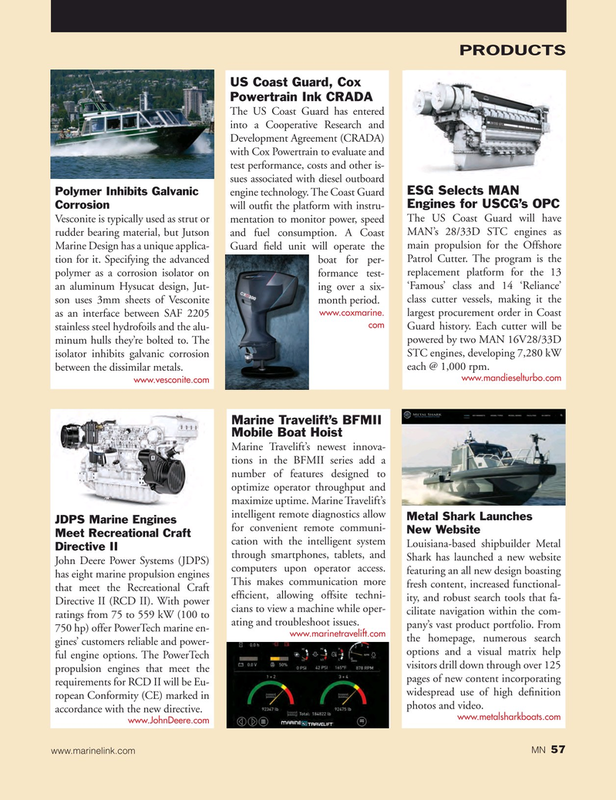 Marine Design has a unique applica- Guard ? eld unit will operate the main propulsion for the Offshore tion for it. Specifying the advanced boat for per- Patrol Cutter. The program is the polymer as a corrosion isolator on formance test- replacement platform for the 13 an aluminum Hysucat design, Jut- ing over a six- ‘Famous’ class and 14 ‘Reliance’ son uses 3mm sheets of Vesconite month period. class cutter vessels, making it the www.coxmarine.